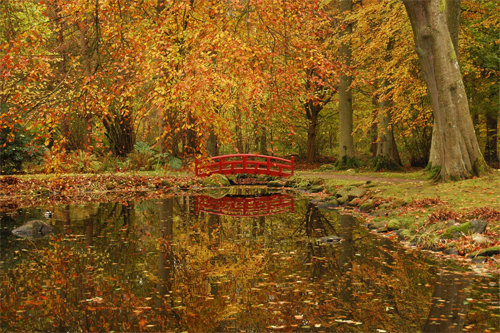 2017 – Red bridge near Krapperups slott on Krapperups kyrkoväg in Nyhamnsläge. 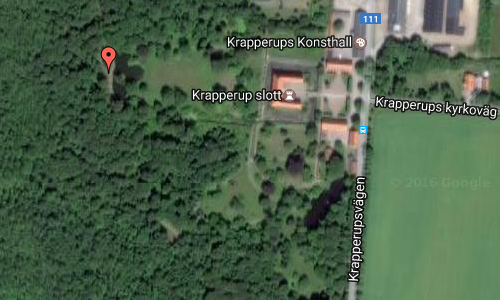 Krapperups slott is located on Krapperups kyrkoväg in Nyhamnsläge, close to Höganäs in Skåne, Sweden. 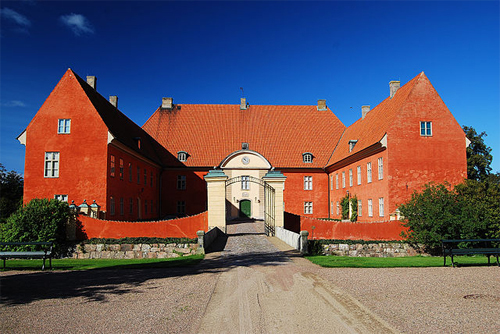 The Krapperup estate dates from medieval times, but the existing manor, except the wings, is from the 16th century. 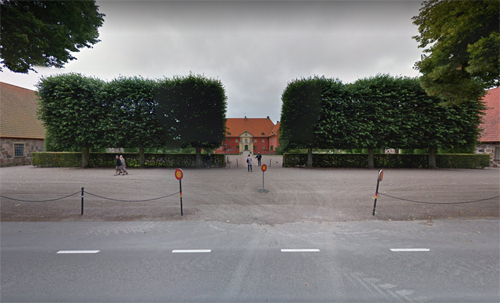 When the Podebusk family built the castle, Skåne was still part of Denmark. The seven-pointed star, which is Gyldenstierne’s coat-of-arms, was added to the facades at the beginning of the 1600s. 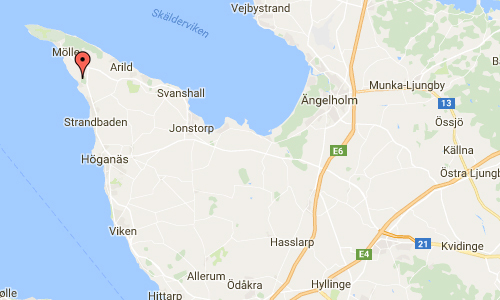 Denmark lost Skåne to Sweden in 1658, with Krapperup’s first Swedish owner being Maria Sophia de la Gardie. In the 1700s, the Hildebrands and then the von Kochen family owned the estate, and it was finally inherited by the Gyllenstierna family, with the seven-pointed star, in the 19th century. The state rooms, with their Victorian interiors, are all situated in the main building, leaving the wings for the family’s private apartments. 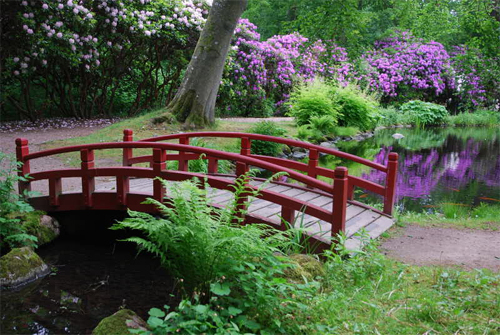 The gardens, covering about 80 acres, developed during the 19th century from their previous formal and utilitarian design into the present romantic layout with winding paths, carp ponds, an abundance of rhododendrons and an attractive rose garden. The former estate in tail of Krapperup was converted into a foundation in 1967. This was with the aim of preserving the castle and the gardens in their surrounding rural landscape. The estate continues to be run as before by the family, with a well functioning agricultural holding of about 5,000 acres. The old farm buildings around the former stableyard now house a museum and art gallery, a music hall and a small café and shop for visitors. 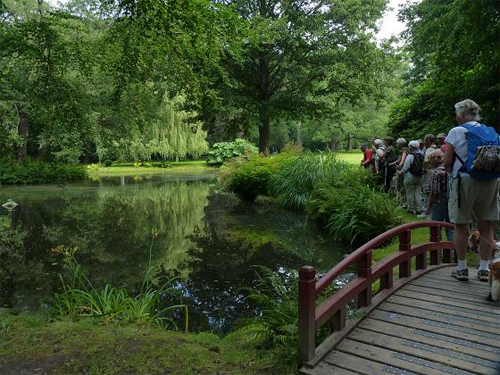 The manor is open for prebooked visits only, but the gardens are accessible throughout the whole year. The Krapperup foundation supports scientific research within the region and has certain humanitarian undertakings, with several grants being awarded annually. More information at krapperup.se, sv.wikipedia.org and guide.visitskane.com. 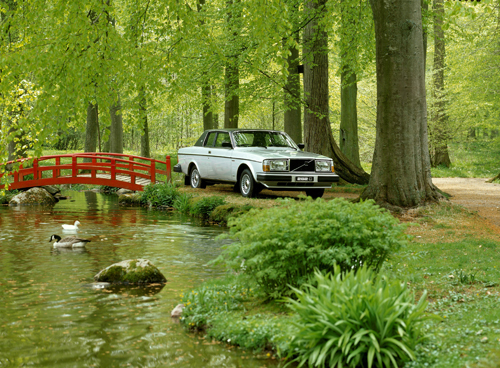 Thanks to Per Richardsson for finding this Volvo Photo Location!